Kenya Train booking-Nairobi-Mombasa-Mombasa-Nairobi Mombasa - Nairobi, Nairobi - Mombasa Train Booking - Nairobi - Mombasa, Mombasa - Nairobi Train Booking, East Africa wildlife safari, Kenya wildlife budget camping safari, Low Cost Kenya Budget camping Safaris, Kenya wildlife luxury lodge safari, Kenya wildlife Budget camping safaris. Nairobi - Mombasa | Mombasa - Nairobi train rail travel adventures. 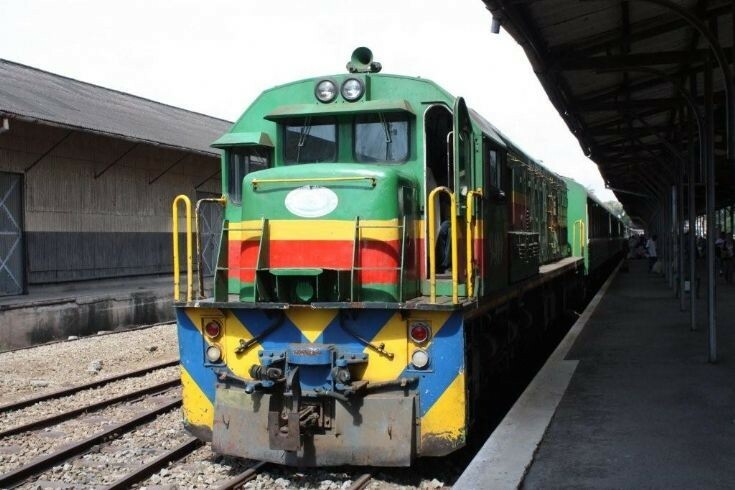 Nairobi - Mombasa | Mombasa - Nairobi Train Tickets Booking: We offer Nairobi Mombasa and Mombasa Nairobi train tickets bookings and seat reservations in Kenya. Nairobi and Mombasa train booking services. Train booking and seat reservation for first and second class passengers train services traveling from Nairobi to Mombasa and Mombasa to Nairobi. Book and make seat reservations for your Nairobi - Mombasa or Mombasa - Nairobi train tickets booking online. Kenya train tickets booking and travel. Train booking and reservation for Nairobi to Mombasa Kenya. 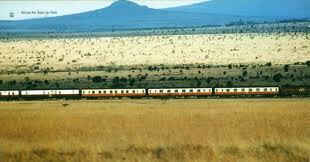 Kenya railways - train safaris. 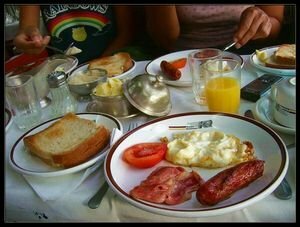 Nairobi - Mombasa Train Breakfast. 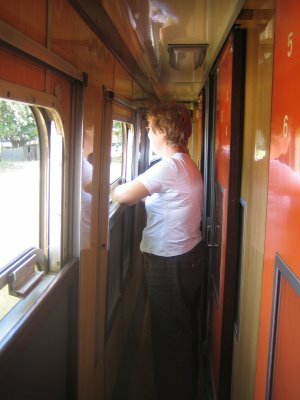 The train serves an economical way to travel to and back from the coastal areas. The journey is a night ride both ways and the ticket cost includes, Dinner, Breakfast and Beddings. Train Breakfast Kenya train travel is one of the most scenic way to travel. Kenya railways provide the classic and very enjoyable way to travel between Nairobi and Mombasa. The night train Nairobi - Mombasa / Mombasa - Nairobi is the best regular train in entire Africa, well maintained, safe sleeping compartments, three - course Dinner and English Breakfast. Highly recommended. 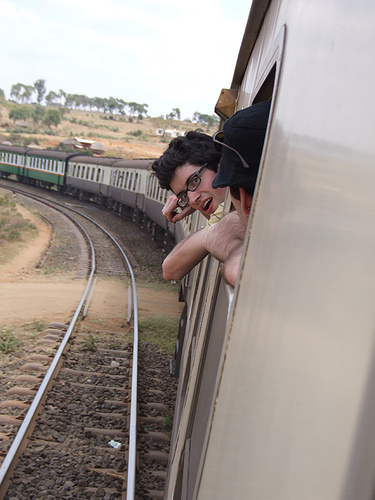 Try the sleeper train Journey which is easy, comfortable at the lowest fares in East Africa rail travel. 1st class sleepers (2 - berth), and 2nd class sleepers (4- berth) with restaurant car serving full meals, snacks, drinks and beer. Over 4,000 Train travel adventure clients, travel with us in a year!!! The reporting time to board at the Nairobi or Mombasa train station is by 6.30 p.m. The train to Mombasa or to Nairobi departs at 7.00 p.m. The most scenic way to travel to Kenya's coast or Nairobi through Tsavo National Park, dinner, and breakfast on the vehicle cabin, great and relaxed view of the coastal approach!!! Child 3 - 11yrs US$ 55 One way. 1st class consists of lockable 2-berth compartments which convert from a sitting room with sofa by day to sleeping berths at night. All necessary bedding is provided and there is a washbasin in the compartment. Toilets are located just along the corridor, there are both western & African type, kept reasonably clean although the loo seat may be missing! The 1st class fare includes dinner and breakfast in the restaurant car. If there are more than 2 of you, you can book two adjacent 1st class sleepers with a communicating door, to make a suite for 3 or 4 passengers, so ask when booking. Take your own insect repellent, a bottle of mineral water, and toilet paper. Most westerners travel in first class, and you'll find quite a few western travelers on each Nairobi-Mombasa departure. The first class sleeping-cars & restaurant car were built in Britain, their external appearance may remind UK Travellers of British Rail! Personal security isn't a huge problem, but do make sure you securely lock your compartment door and close the window at night (using the louvered shutter if you want ventilation). Wandering hands have been known to come through an open window when the train stops at night! Second Class: Nairobi To Mombasa Train one way US$ 65 One way per person sharing. 2nd class consists of lockable 4-berth compartments which also convert between two sofas by day to bunks at night, with washbasin. As in first class, take your own insect repellent, a bottle of mineral water, and toilet paper. In 2nd class you'll find one or two western travelers, plus Kenyan middle class travelers. Second Class: Child 3 - 11yrs US$ 45 One way. Second Class: Mombasa To Nairobi Train booking one way US$ 65 One way per person sharing. Four beds with a toilet and a sink. Second Class Coupe ( 2nd class 4 - berth sleepers) will accommodate four persons with sleeper beds. Meals ( Dinner / Breakfast ) and Beddings are inclusive on first and second class only. +254 20 26969224 | + 254 724798380 | to make a booking over the phone. NB: We will book the Train on your behalf. FULL passport Names is what we require . 2: You wire the money. 4: On arrival or place to advise we will deliver the ticket. 5: We can advise how to collect tickets either on Mombasa railway station / Nairobi railway station. Once you send the money we will be in a position to reserve the seat for you and collect your ticket on arrival at Nairobi Railway station or Mombasa Railway station. Price will be 65 US$ per person plus 10 US$ processing fees - covers administration costs. Log on to online payment detail form fill and sign then Fax to us or scan and attach on email. Kindly, note that Kenya Railways does not offer guarantee of unpaid seats / booking. We also extends our services by receiving our clients at the Nairobi airport or Mombasa airport and transfers them to Nairobi railways station or Mombasa railway station or to Nairobi Hotels or Mombasa Hotels..
* Name, flight and hotel or destination point. - payments are in cash after service delivery. When making a booking, you will need to advise your flight details and your Nairobi / Mombasa transfers details. Your transfer booking will be confirmed within 12 - 24 hours, and you will be provided with driver telephone number, and a sign board reading your names. We require your firm confirmation.